Tip the cans of Princes Apple and Blackberry Fruit Filling into an ovenproof baking dish. 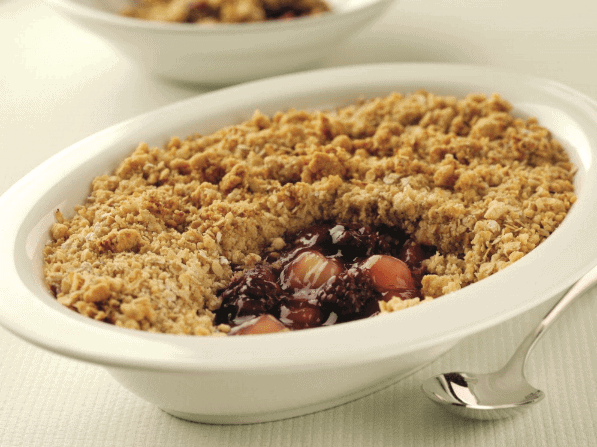 Make the crumble topping by rubbing the butter into the flour with your fingertips, until the mixture looks like fine crumbs. Stir in the porridge oats, sugar and cinnamon (if using). Sprinkle the topping over the fruit mixture and bake for 25-30 minutes. Serve with cream, custard or ice cream.